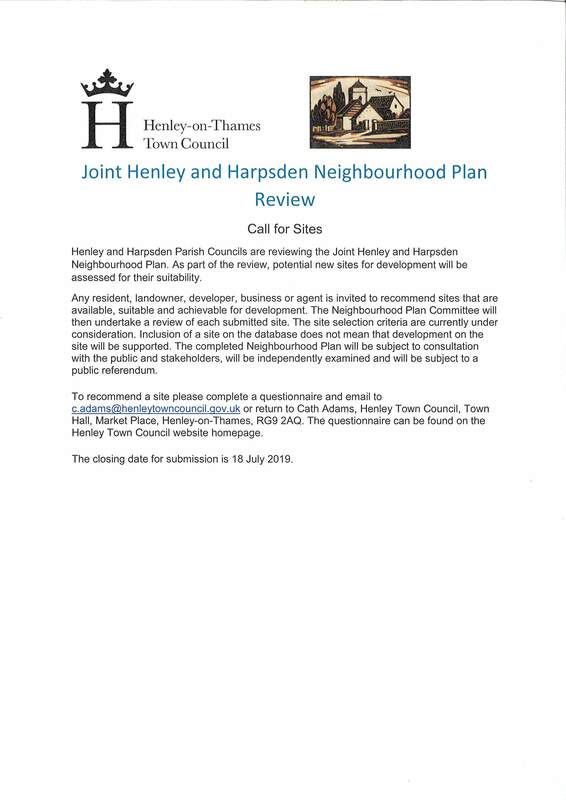 Click here for the Joint Henley and Harpsden Neighbourhood Plan. On 14 April 2016, the Henley and Harpsden Neighbourhood Plan was officially 'made' or adopted by South Oxfordshire District Council and is now part of the Development Plan. Documents relating to the plan can be seen below. On Thursday 10 March residents voted to formally adopt the Joint Henley and Harpsden Neighbourhood Plan. To see the Results Notice for the Referendum, click here. The Joint Henley and Harpsden Neighbourhood Plan will now go to South Oxfordshire District Council to be made. It will then be a formally recognised part of the development plan and will be used to help determine planning issues. The Neighbourhood Plan following the Examiner's amendments is available here. The Examiner's Report is available here.